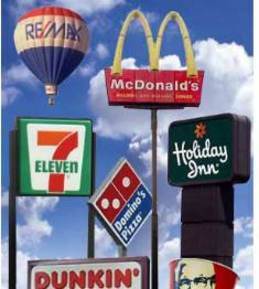 Franchise companies are one of the largest and most successful areas in present day retail. There are several unique considerations which create additional intricacies for a landlord in leasing to a franchisee. An immediate benefit that adds value and recognition to the retail center is the value of an established trade name and brand that is associated with the new user. Additionally, franchisors require that franchisees pass a rigorous vetting process, which usually means that if the franchisor has approved the franchisee, there should be some meat on that bone, especially if this franchisee already has other stores under operation. That being said, the landlord must understand that a franchisee business is its own independent operation that simply has licensing rights to the brand and only has a contractual relationship with the franchisor company. The two are totally separate entities, and unless the premises are being leased by the franchisor entity itself, the landlord should not expect to receive any corporate guaranty for the lease obligations from the franchisor, nor believe that it has any relationship with the franchisor. In fact, most franchisors will require that the landlord enter into a franchisor generated addendum that in some cases is beneficial and in other cases is prejudicial to the landlord. Typical provisions in the addendum should address default notices, cure rights, right of entry after default or termination, use and restrictive covenant issues, assignment and recapture provisions, and the ability to mortgage property equipment, among others. There is no exact magic to the addendums, and they vary from franchisor to franchisor. They are also subject to negotiation. The landlord should ask to see a copy of the fully executed franchise agreement. There are number of reasons for this, the most important being the verification of the fact that the term of the agreement is longer than the term of the lease. Another critical element is determining what defaults and termination rights may exist under the franchise agreement. All of these may influence what the landlord is willing to do in its lease, and what it is willing to negotiate. Our real estate attorneys have extensive experience in negotiating lease agreements on behalf of both landlords and tenants in franchise situations, and we maintain offices in Miami-Dade, Broward and Palm Beach counties. We write about important real estate law issues in our blog on a regular basis, and we encourage industry followers to add their e-mail address in the subscription box on the right in order to automatically receive all of our future articles.